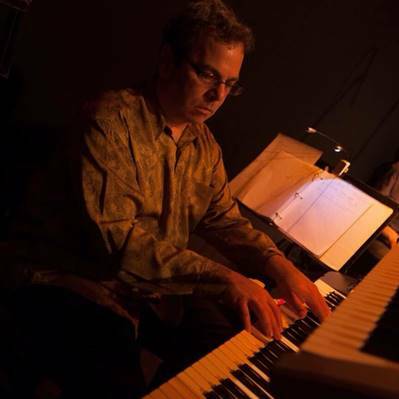 Michael Gill is a Bay Area pianist and composer who focuses on jazz, progressive rock, and both traditional and contemporary Jewish music. He is the director of the Jewish/American wedding band, “The Shtetlblasters” and is a composer of vocal and instrumental music. Michael’s CD “Blues for Lazarus” features original compositions based on science fiction stories and spotlights Bay Area and Los Angeles performers including Gary Meek, Dave Weckl, Dave Koz, Tom Valdez, Callie Thomas, Dan Petruzzella, and Rob Fordyce. Michael was recently one of fifteen international composers who authored a new musical “David’s Quilt” based on a biblical libretto, its world premiere in Los Angeles featuring the UCLA orchestra and chorale. Prior, Michael arranged and produced singer/songwriter Arthur Pinchev’s debut CD, “Waking Up Tunes” and produced jazz vibraphonist Sam Goldsmith’s “Summer Victory Dance” CD. Michael has recently recorded and performed with Boston’s folk duo David Meyer & Jonathan Nelson and with Israeli/Ladino singer/songwriter Rivka Amado. He is currently involved in a Bay Area production celebrating the life and poetry of Israel’s national poet, Rachel.